DAVIE, Fla. (Aug. 20, 2014) – Dental Fix RX, a mobile dental equipment repair franchisor, announced it has awarded its 150th franchise, a Cleveland mobile repair unit, which is one of 11agreements in Ohio alone. Established in 2009, Dental Fix is currently the only on-site dental equipment repair franchise in North America. Franchisees use leading-edge mobile repair centers – or “rolling repair shops” –to deliver on-site services for dental-practice repair, and new-equipment needs in more than 27 states nationwide and two provinces in Canada. The service centers provide the largest mobile inventory in the industry. “This milestone franchise – our 150th – illustrates the breadth of support available to ensure dental practices have a reliable partner to maintain equipment to meet their high standards of care,” said Scott Mortier, vice president of business development for Dental Fix. The Dental Fix philosophy focuses on customized service that produces high-quality repairs in a short amount of time. Dental practice clients see one technician who is the owner-operator of the Dental Fix mobile service center, which ensures a familiarity with specific equipment at each practice and a context of previous repairs. Dental Fix RX combines centralized technological and account management services with a unique national network of locally owned and operated industry professionals. Each professional is equipped with “state of the art” mobile service centers. 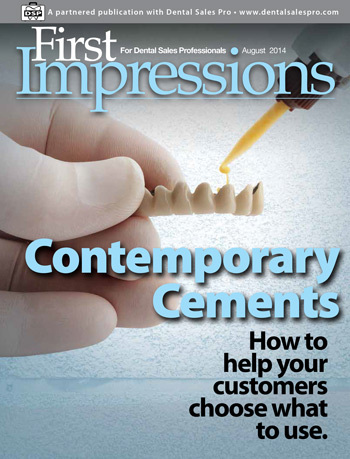 Dental Fix delivers on-site personalized service for dentists’ repair and new equipment needs. For more information, call 800-586-0340 or visit www.dentalfixrx.com. to Brett Peaks, Dental Fix announced today. The signed agreement targeting the Nashville market, will be the 2nd van to launch in the State of Tennessee, and is part of an aggressive North American expansion plan calling for 700 new vans over the next five years. With 100 territories currently operating throughout the US and Canada, Dental Fix is well on its way. “The potential for Dental Fix is endless as it is the only site dental equipment service franchise in the industry,” said Lopez. “We couldn’t be more excited about launching another Dental Fix van in Tennessee. The Florida based Dental Fix Franchise Company is revolutionizing the dental service industry by delivering immediate on-site hand piece repairs and equipment service and sales, through a dedicated mobile network of highly trained and successful industry professionals. The company currently has 100 territories open and operating. Davie, Florida – Dental Fix has awarded its 50th franchise of 2014, in Phoenix, Arizona, to Rich Hewitt, Dental Fix announced today. 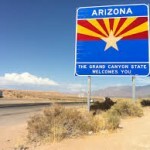 The signed agreement targeting the Phoenix, Arizona market, will be the 3rd van to launch in the State of Arizona, and is part of an aggressive North American expansion plan calling for 700 new vans over the next five years. With 99 territories currently operating throughout the US and Canada, Dental Fix is well on its way.“It’s been another tremendous year for us as we build on our brand’s success and continue to grow throughout the United States and Canada,” said David Lopez, CEO of Dental Fix. The Florida based Dental Fix Franchise Company is revolutionizing the dental service industry by delivering immediate on-site hand piece repairs and equipment service and sales, through a dedicated mobile network of highly trained and successful industry professionals. The company currently has 99 territories open and operating. Roughly 10 years ago, service tech Michael Parker left the dental firm for which he worked and went out on his own. Many service techs do the same. What he did next, though, was different. He met franchise entrepreneur David Lopez and, in July 2009, they launched Dental Fix RX, an onsite handpiece- and equipment-repair service based in Fort Lauderdale, Fla. They sold their first franchise in November 2009. Today, Dental Fix has sold more than 100 franchises in 27 states and two Canadian provinces. Parker’s small business grew by word of mouth, but operating as a solo tech wasn’t easy. For example, he found it difficult at times to get necessary repair parts from manufacturers, and was forced at times to tell his customers to buy the parts themselves, then notify him when they arrived, so he could make the repair. Lopez, who had no prior dental experience, recognized the opportunity to expand the business using the franchise model. In the franchise model, each owner/operator buys the rights to operate an exclusive territory for Dental Fix, says Cohen. The typical prospective owner/operator possesses technical skills, is financially qualified and entrepreneurially driven. He or she is typically very disciplined; in fact, many have military backgrounds..
New franchisees travel to Fort Lauderdale for a month-long, intensive technical training session. “They learn how to repair basic equipment as well as the principles of the technology in the dental office – handpieces, compressors, vacuum pumps, utility room equipment, chairs, lights – everything,” says Cohen. “We run it like a university, directed by professionals in the dental industry with extensive repair and biomedical backgrounds.” Following that, the new franchisee serves a week-long “apprenticeship” with a successful franchisee, and then returns to his or her local market, where he or she is accompanied by a corporate Dental Fix operations trainer on rounds.